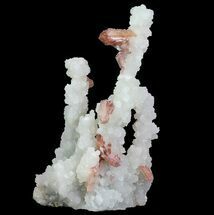 This is a breathtaking 7" wide, sparkling mineral association containing stilbite that has a pink coloration, formed from chalcedony stalactites. 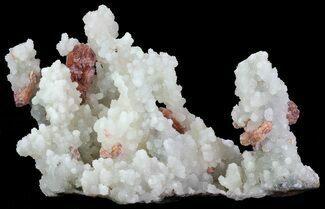 This was collected from Jalgaon in Maharashtra, India. 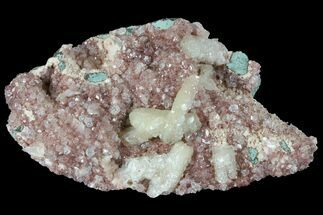 The stilbite is translucent to pink, with some crystals bearing double terminations. 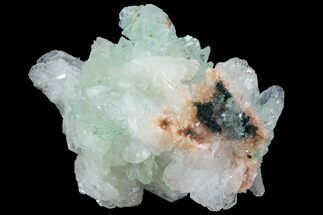 The chalcedony stalactites are translucent, and have a faint blue-green hue. 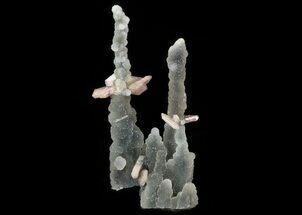 Small apophyllite crystals can also be found scattered around the chalcedony stalactites. 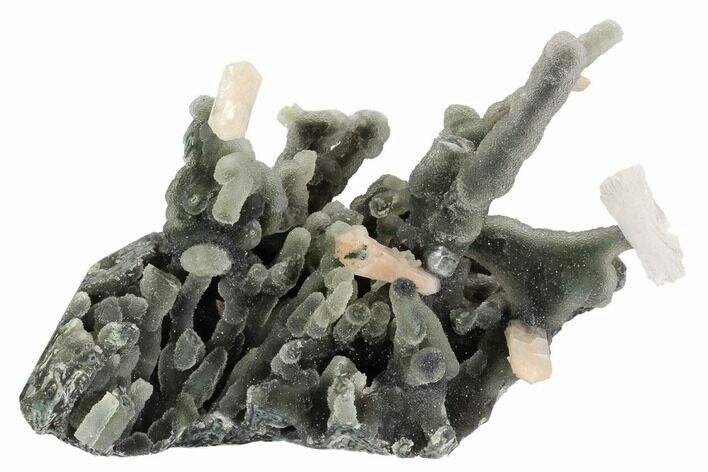 Unfortunately, many of the long stalactites have either broken (likely during the excavation process) and been repaired with glue, or broke and were replaced by another chalcedony stalactite. 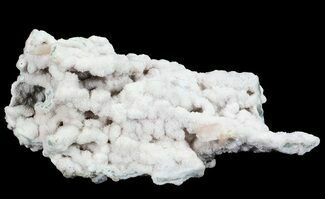 The specimen is beautiful, but it isn't the "original" formation.